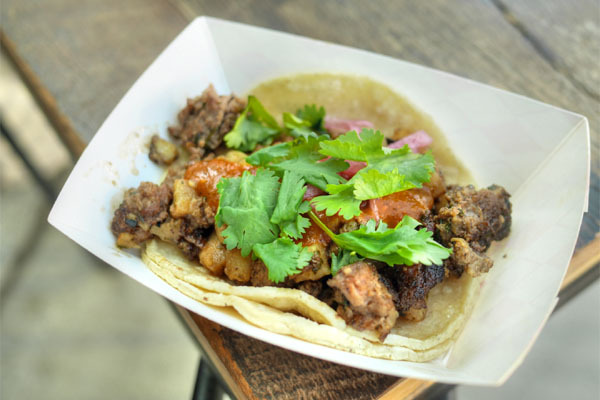 The food truck thing is a little passé for me personally by this point, but one of the most promising these days is without a doubt Guerrilla Tacos. 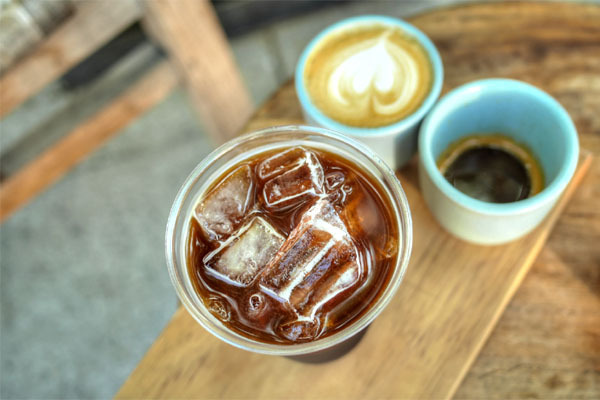 Founded in August 2012 by Wes Avila and wife Tanya Mueller, Guerrilla started life as a street cart parked outside Downtown's Handsome Coffee Roasters. Unlike your typical taco cart however, Avila's offerings changed pretty much daily, and his tacos definitely veered non-traditional, some would say fancy. GT eventually garnered a following though, which allowed the Chef to move into a truck at the tail end of 2013. 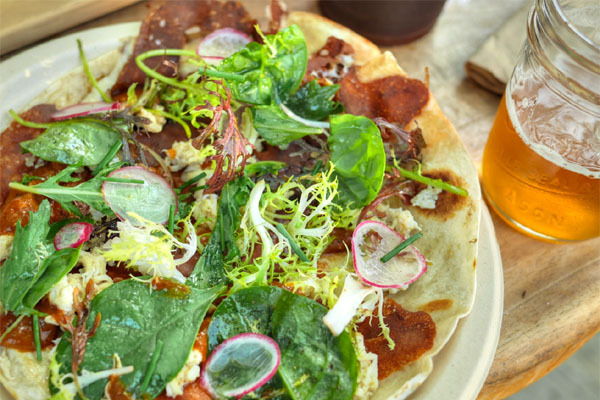 Following Handsome's sell-out to Blue Bottle in April, the crew moved a few blocks north to Blacktop Coffee (Thursdays to Sundays), and is still serving at Cognoscenti on Wednesdays. About the Chef: A native of Pico Rivera, Wesley Avila didn't set out to become a player in the taquero game. Rather, following high school graduation, he sought work with his father as a forklift driver at a corrugated box factory, a position he retained for seven years. It was a stable, well-paying Teamster job, but mind-numbingly boring, so he left in 2003 at the age of 25. Avila thus enrolled at the California School of Culinary Arts in Pasadena, and after graduating, went up north to work at L'Auberge Carmel under none other than Walter Manzke. 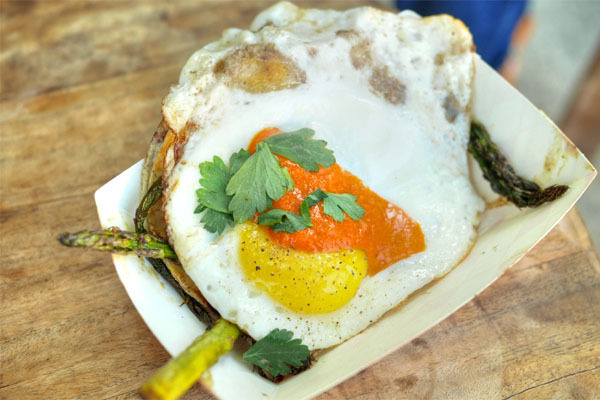 He eventually moved back to the Southland, cooked at Church & State, and helped Octavio Becerra and Gary Menes open Palate Food + Wine in fall 2008. When Menes left Palate in August 2009, Avila decamped as well, got married, and studied for a bit at the Centre de Formation d'Alain Ducasse in Paris. He followed Menes to Marché, a joint project with André Guerrero, and during this period also cooked at the Palos Verdes Golf Club. Marché folded in 2010, and Menes went on to start Le Comptoir, with Avila in tow. Le Comptoir, however, was a pop-up, and was thus infrequent, so to make some extra cash, Avila bought a taco cart in May 2012 (tacos being a fav food of his). After starting out in a park in Glendale, he got hooked up with Tyler Wells of Handsome Coffee that August, and began Guerrilla Tacos outside his shop. The rest, of course, is history. Before getting started, we went inside and got some Blacktop cold brew and their "One and One," which features a duet of Sightglass espresso and macchiato. Avila's picadillo was pretty damn tasty, deeply-flavored, earthy, and satisfying, with a lovely touch of heat to it and a well-placed bit of brightness from the combo of pickled onion and cilantro. The sort of taco you could just down a whole plate of. 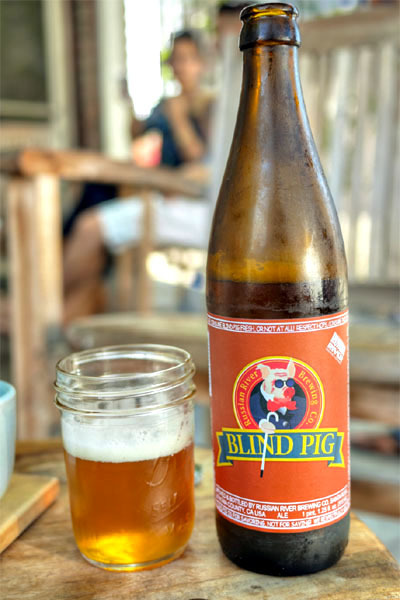 Tacos really call for some beer to pair, so we opened up a bottle of the 2014 Russian River Blind Pig IPA that I had from back in March. Despite its age, it was still rather delicious, a classical West Coast interpretation of the style brimming with hoppy, pine-y, citrus-y goodness. Bitter, but balanced. Avila's take on the quesadilla certainly looked unconventional (and was a bit polarizing in our group), sort of reminding me of a tlayuda of sorts. The brine of the crab was forcefully conveyed here, a blast of ocean-y flavors evened out by a touch of sweet heat and the zestiness of various veggies. I would've liked to have tasted more from the queso Oaxaca though. 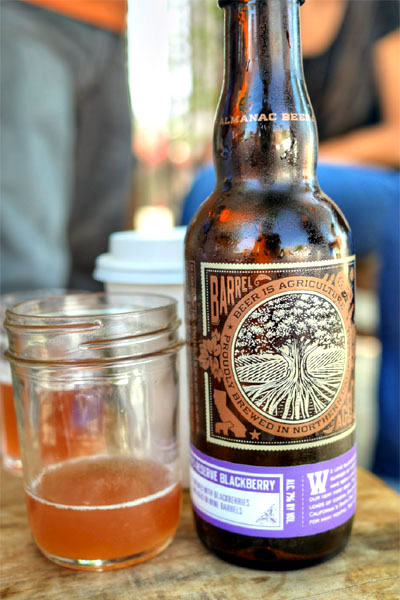 Next up was something refreshingly sour, the wine barrel-aged 2014 Almanac Farmer's Reserve Blackberry. For this one, think tart and acidic, though not particularly funky, with a solid, yet subtle backbone of blackberries all the way through. 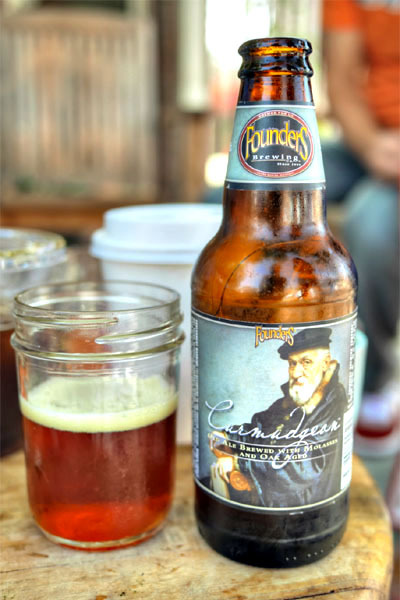 Our final beer was the 2014 Founders Curmudgeon, an old ale brewed with molasses and aged in oak barrels. It was an expectedly malty brew, but also very smooth, with a bread-y and sugary quality to it finished with a trace of alcoholic heat. It seems to me that Avila's goal here was to do the type of high-brow cooking that he was trained in, using the taco as the vessel in which to convey his ideas. I didn't get to try too much of his food, but based on what I ate, I'm curious to taste more. In a way, the truck almost doesn't do justice to the cooking here. I'd love to see Guerrilla become a permanent, brick-and-mortar business so we could realize the full potential of the concept. That way you'd have a larger selection of tacos, less selling out of stuff (sadly, we missed the "Waffle of Insane Greatness"), the ability to pair beer/cocktails, longer (dinner) hours, and of course, actual seating. Hell, even have a taco bar so we could enjoy taco tasting menus. Now that would be coming full circle. Just wondering, did he have any twists on classics like pastor or cochinita pibil? Not on this day, but I believe he does more of the classic stuff as well. The menu changes so often.